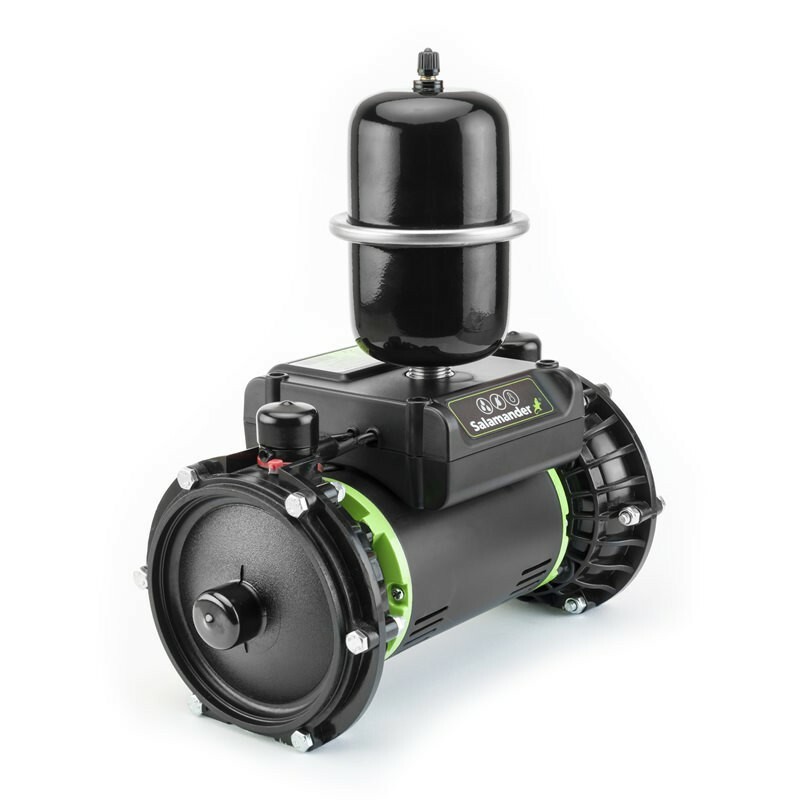 This Salamander RP50TU twin pump is designed specifically for one/two bathroom systems where there is a need to boost tank fed hot and cold supplies baths, basins or showers which may be above and/or below the cold water storage tank(s). This product was formerly known as ESP 50 CPV. The RP50 TU pump is a 1.5 bar twin centrifugal shower pump suitable for boosting water performance in a gravity fed negative or positive head system. This pump can be used with conventional and multi-function showers and a shower head up to 100mm. With cross over technology inside allowing for individual outlet (hot or cold) operation, this pump is the perfect solution for boosting shower or bathroom performance. AV couplers with isolating valves are included. The most powerful 1.5 bar pumps in the range.